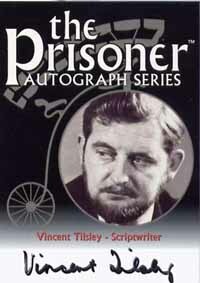 More details have been announced regarding the forthcoming weekend of "Prisoner" events on April 8th and 9th. Firstly, another guest has been added to the line-up attending the launch party of the 2nd Volume of "The Prisoner: The Original Scripts", published by Reynolds and Hearn, on Saturday April 8th in London. As well as Robert Fairclough, John S Smith, Ian L Rakoff, Nan Griefer, and Joshua Griefer, Vincent Tilsley, who wrote the episodes "Chimes of Big Ben" and "Do Not Forsake Me" will also be attending. Unfortunately Roger Parkes is no longer able to attend due to health reasons. The following day, Sunday 9th, the first of this year's Location Walkabouts takes place, also in London, beginning at 2.30pm at Marble Arch. 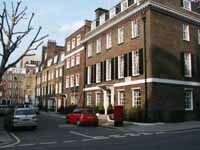 All the surviving London-based series locations are visited (including Number Six's house, the underground car park, resignation corridor, and many more). Earlier that day, tour guide Dave Lally is also conducting a tour of Patrick McGoohan's 1960s residences, and the previous evening a drink/meal for "Prisoner" fans staying in London for the weekend's events. For more details regarding these events, including how you can attend, visit our events page.